“Our voices are stronger together.” We’ve heard this phrase time and time again, but over the past two years it has taken on a life of its own. From the moment thousands gathered for the Women’s March on Washington in early 2017, there has been a shift in the collective consciousness and solidarity among women in America. Recently, it seems, each passing month brings a new challenge and along with it a new cause to rally around, both of which serve to bond women together in their quest for genuine equality. For female attorneys, like-minded peers are an integral part of gaining support while ensconced in a field largely dominated by men. Those who practice mass torts have been given a unique opportunity to form these essential connections by way of a group aptly named, Women en Mass. WEM has given many women who practice in mass torts, a traditionally male-dominated area of an already gender-disparate field, a channel for their grievances and an opportunity to speak out. The differentiating factor for WEM is that it isn’t just an annual retreat—it is a true community that provides daily discourse between its members and a constant dialogue accessible at any time. The recent tumult of events surrounding the Supreme Court justice appointment was a point of passion for WEM and kept its online listserv alight with opinions, experiences and petitions shared in the “safe-space” that Aimee Wagstaff has created. 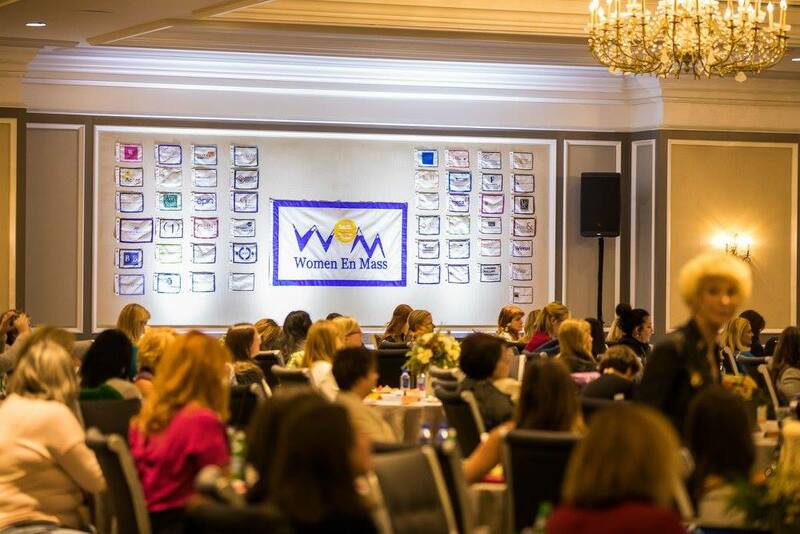 The retreat that recently took place in September was my first experience with WEM and I truly did not know what to expect with so many intelligent and powerful women in the legal industry all converged in one place. Ms. Wagstaff crafted the WEM experience to be one of shared insight and learning after attending a legal conference a few years back. There, activities were divided by gender: the men participated in a stimulating networking activity and the women were offered a tutorial on taking their makeup from day to night. The sexist implications of gender-specific activities propelled Aimee to step up and offer an event where women were the majority and not the token faction. As I began my trip from Buffalo, New York to Aspen, Colorado for the retreat, I recalled a piece of advice Aimee had given me during our interview. “Show up, and keep showing up. Show up early and often. You need to let people know who you are. You need to be nice to everyone; learn from everyone. You need to know that you don’t know.” Allow yourself to be open and ready to learn is one important lesson that I learned from the women at WEM. “You’re never too experienced to have a mentor,” Aimee told me. I took this advice to heart and went to WEM ready to learn, and I wasn’t disappointed. The WEM contingent turned the Aspen St. Regis into a veritable “who’s who” of the legal profession. As a young attorney, I was amazed to find myself in the same room as trailblazing female lawyers who have made remarkable achievements, and to discover how friendly and open these women were. 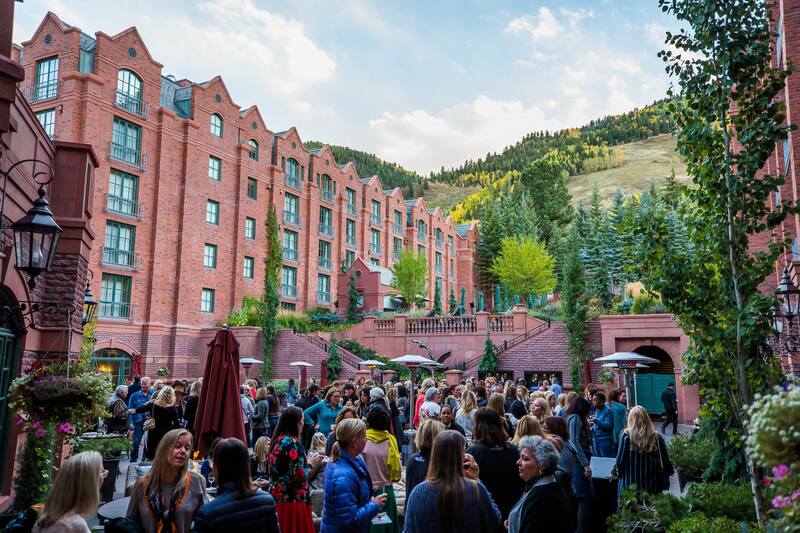 When I first arrived in Aspen, I could feel the atmosphere of anticipation; women earnestly talking to each other about everything from family life to what the next mass tort will be. For a lot of the women who come to WEM, this is a rare opportunity to speak to each other in-person instead of over email. There isn’t even a hint of any stereotypical attitudes—everyone is there to help one another and support each other in striving for personal and professional success.